What’s the difference between muscle power and muscle strength? These terms are often used interchangeably, but there’s actually quite a marked difference and thus the training to improve each is also different. “The maximum amount of force one can generate during a specific movement at a specified velocity” (Knuttgen & Kraemer, 1987). In real terms this means what’s the most you can lift in the gym for a single repetition (1 RM), or if we hooked you up to a machine that measured it statically, how much force could you push against it? Muscle power is slightly different. It is a product of force and velocity, i.e. strength and speed, so can see that there is a strength aspect to power, however, it’s also about speed of muscle contraction. These types of contractions are often called ‘explosive’. Another key difference is the rate of force development – the speed at which force is produced is much quicker, and maximal power might be achieved in under 1 second. 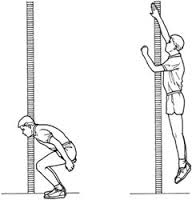 Importantly, the load is much lighter than when performing strengthening contractions (so that you can move it quickly) and an example might be the height you can achieve in a vertical jump. When do we need power and strength? We need muscle strength in every day activities, but we probably use less of our capacity of maximal strength when we’re younger. As we age, muscle strength declines, whilst reports vary a little, by the time you get to 50, you can expect to lose approximately 12-15% of muscle strength per decade – shocking eh? So you can see how elderly people might need to operate at near maximal levels to perform the most basic of tasks. By performing resistance training, however, you can help reduce these age-related effects! Specific strength training involves improving the fast twitch capacity within a muscle. These muscle fibres a strong and produce force quickly, so strength also plays a role in injury prevention. Most injuries happen very quickly, so it’s important to be able to rapidly produce muscle force strong enough to stabilise and protect your joints. This latter point also means that muscle power is involved in injury prevention – production of force quickly i.e what stops you from falling over if you trip off a curb, or enables you to right yourself when landing awkwardly from a jump. Examples of power-based activities include sprinting, jumping and throwing. 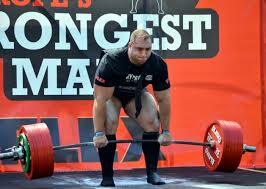 Next time, we’ll take a look at training and testing of muscle strength and power in more detail. Knuttgen & Kraemer, 1987. Terminology and measurement in exercise performance. J Appl Sport Sci Res. 1:1-10). 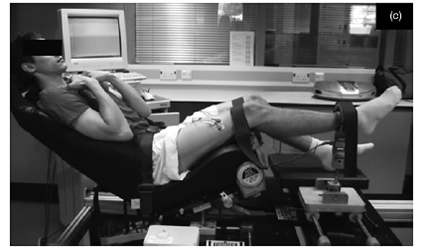 Macaluso & De Vito: Muscle strength, power and adaptations to resistance training in older people. Available here.